And there are others like her. There is 48-year-old Shirley Ellerbee from New York who has been here for the past two months and thinks she has been cured of her condition of breathlessness. “The doctors in New York suggested operation for my weak heart. But I am rather cynical about modern medecine and chose to come here for cure.I used to be breathless even while living in suburban New York. But after about a couple of months here I actually feel much better,” says she. It isn’t as if these people have been treated with a magic potion, but thanks to Sahaj, their physical ailments have been taken care of, as it were. Sahaj Yoga is practiced in 65 countries all over the world. The International Sahaj Yoga Research and Health centre at Navi Mumbai is also guiding and coordinating research activities of Sahaj Yoga research centers in London, Paris, Vienna, Moscow, Kiev, Toronto and Sydney. Dr Rai has researched at the Lady Hardinge Medical College and Associated Hospitals, New Delhi, on the role of Sahaj Yoga in the treatment of psychosomatic diseases. 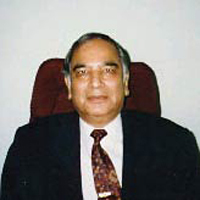 He maintains that while with the advancement of the medical sciences, infectious diseases have been wiped out and heart and kidney transplants are quite successful, scientists have yet to find an answer for the treatment of psychosomatic diseases which are on the increase in the developed as well as the developing countries. Some such diseases are hypertension, migraine, bronchial asthma, epilepsy and others. He advises recourse to the ancient Indian sciptures like the Patanjali’s Yoga Sutra, that mentioned yoga as the most essential technique to keep the body and mind healthy. This is true even today but there is a need for integration that is not merely inner but covers external life as well. “For yoga to be more relevant today, it needs to touch both the physical and mental aspects of health, which is encapsulated in the Sahaj Yoga. This science borders on all that which one is born with,” says he. It is based on our subtle nervous system. The dormant primordial energy is present in every individual in three and a half coils in the triangular bone called “sacrum”- The Kundalini, at the base of the spine. When this gets activated on doing Sahaj Yoga, it ascends and activates one’s six subtle chakaras and piercing through Brahmarandhra, it unites with the all pervading cosmic energy.”And with this actualisation in the limbic area of the brain, subtle cool vibrations start flowing from both palms and the top of the head. In this vibratory awareness, while one can feel what chakaras are blocked, on the other side one can work out the correction of these chakaras to cure different diseases. To verify some of the claims of Sahaj Yoga, a systematic research study was organised in the physiology and medecine department of Lady Hardinge Medical College and Associated Hospitals in New Delhi. The research projects studied were psychological effects of Kundalini awakening by Sahaj Yoga and the effect of Sahaj practise on psychosomatic diseases like hypertension and bronchial asthma. Says Ellerbee, the most important aspect of this science is to achieve a state of thoughtlessness. “Which is the most difficult of things to achieve. But once you get your mind free, you gradually begin to feel a calm stillness within,” says she. But couldn’t the cure here for ailments like hypertension etc. be attributed to the fact that getting here in the health centre itself is a get-away of sorts for the patients ? “Getting away from regular duties help concentrate on Sahaj but it is imperative that one should continue to keep at it. The cure though is lasting,” says she. An alternative to the traditional medical sciences ? Now that’s a tough one, isn’t it ?